Two Redon drain tube provided with RO line and smooth eyes for two successive drainages in case of need. 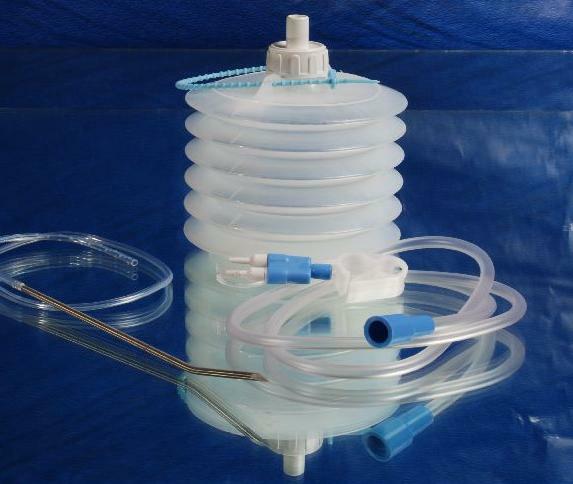 Bellow capacity of 600 (for FG 10 &12)/800 ml (for FG 14 , 16 &18) with graduation to measure drainage volume from wound.. Depending on need different sizes of Redon tube and Trocar available. Redon drain tube has multiple perforations for efficient and atraumatic drainage. Main connecting tube has been equipped with colour coded Y connector to connect compatible.